Seed Transformation Program, a one-year program of intensive sessions on topics such as leadership, strategy, business ethics, accounting, marketing, and value chain innovations. Skilled facilitators assist participants in applying classroom insights, developing leadership teams, and formulating a detailed plan for organizational transformation and growth. Seed facilitators also work with participants in carefully constructed leadership peer groups, offering networking opportunities, resources, and ideas to help implement the participants’ transformation plans. The mission of the program is to enable business owners to lead their regions to greater prosperity through the growth of their companies and job creation. The program will be open to owners of established businesses in Botswana, Namibia, and South Africa. Applications will be accepted 17 August through 6 October 2017. Stanford Go-to-Market Program, an intensive, one-week entrepreneurship boot camp, taught by Stanford GSB faculty, held in cities around the globe. Through a combination of lectures, case studies, and small-group discussions, the program helps budding entrepreneurs gain the confidence and skills to commercialize their business ideas and accelerate their route to market. While Botswana will host the first Stanford Go-to-Market program in Africa, the boot camp may expand to include participants from other Southern African countries once fully established. Applications for the Stanford Go-to-Market program in Botswana will be accepted this fall and the cohort will convene in March 2018. These new programs exemplify Stanford GSB’s commitment to creating lasting global impact by bringing the Stanford experience to new regions, engaging promising business leaders globally, transferring knowledge, and building relationships. 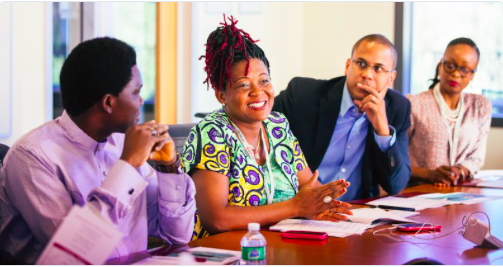 Through these new programs, Stanford GSB has an opportunity to share insights through hands-on management education for students, while also gaining a better understanding of the business climate and unique economic attributes of Southern Africa. Both the Seed Transformation Program and Stanford Go-to-Market program will be headquartered at the Botswana Innovation Hub, a science and technology park in Gaborone, Botswana. The initiative will be supported by a range of government entities in Botswana, including the Botswana Innovation Hub, the Botswana Ministry of Tertiary Education, and the Ministry of Youth Empowerment, Sport & Culture Development.